256x FREEZER GRADE Self Adhesive Stickers. 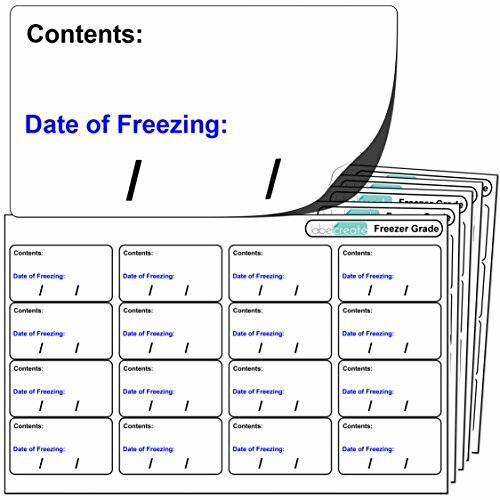 "Contents: Date of freezing:" For Use With Any Standard Pen or Biro. Free First Class UK Delivery. Quantity: 256 (16x sheets of 16 labels) Label Size: 46mm x 25mm. Premium Quality Label Material, With Strong Adhesive Bond. Designed to Go Down to -40°C Without Falling Off or Peeling At All. Can Be Written on With Any Pen or Standard Biro. Comes in a Handy Plastic Pouch, Ideal For The Kitchen Drawer.